The largest of the suites will feature a living room, kitchen, bar, full-sized dining room and a stand-alone oval bathtub set in front of floor-to-ceiling windows. WASHINGTON — You’ll be able to live like a high roller at the MGM National Harbor casino and resort’s 308-room hotel when it opens late this year. 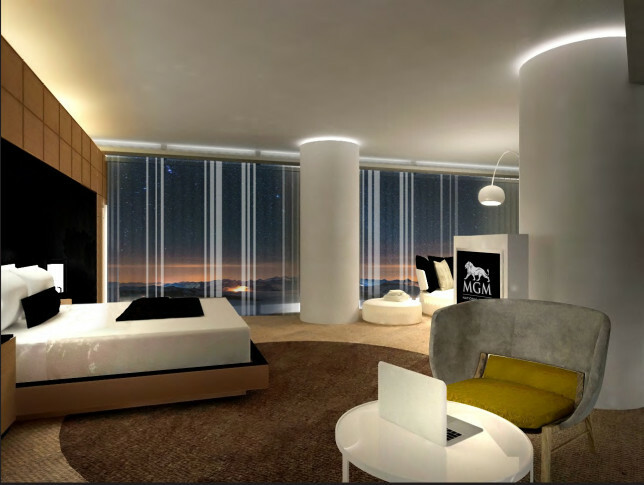 The hotel will include 74 suites ranging from 588 square feet to a whopping 3,210 square feet, each with what MGM describes as featuring distinct locations, size, layouts and amenities. The largest of the seven types of suites will be the Chairman Suite. These suites will include a large living room, kitchen, bar and full-sized dining room. The master bathrooms will include stand-alone oval bathtubs set in front of floor-to-ceiling windows. What will the suites go for per night? MGM is not yet ready to say. Availability begins on a date yet to be announced. Last month, MGM unveiled more of the dining choices planned for the resort. The $1.3 billion MGM National Harbor Casino and Resort is expected to open by December.